Once again we teamed up with Marcel at Publicis Group, this time to help Orange. Who has the best 4G network? 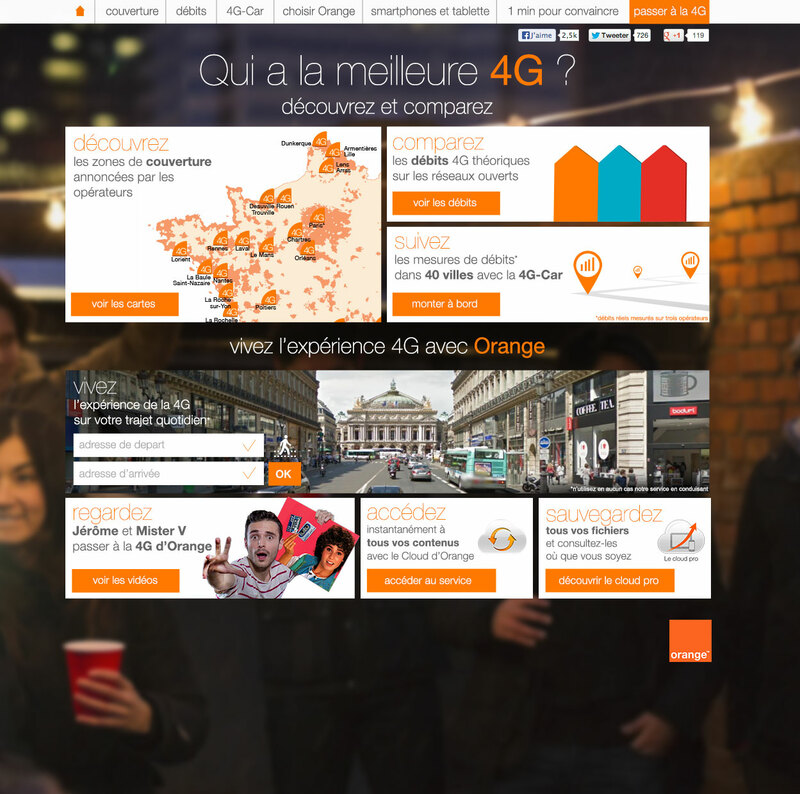 This site was at the heart of the 360° campaign when the #1 carrier has started promoting its new 4G network in France. First conceived by Konbini, redesigned by Publicis, our role was to develop the multi-device back-end platform, and the communication interfaces with the front-end (using AJAX and some kind of APIs). The site was built from scratch, using a few external libraries. It features basic CMS functionality, a drag’n’drop map with pinpoints and custom caption placement for each carrier, a 4G-meter form that uses Google Maps and geolocation for accuracy, and paranoid event logging. Also, Orange actually has the best 4G network.